Ottawa-based research and consulting firm Boon Dog said the top providers were down 153,000 TV subscribers in their respective three fiscal 2015 quarters – record losses – compared to 22,000 subs lost in the same quarters in 2014. In Q3 alone, pay-TV providers in Canada lost 39,000 subscribers compared to 4,800 a year ago, an increase of more than 712%. Mota pointed out that IPTV provider Bell now is the largest TV service provider in Canada, surpassing cableco Shaw Communications, significant because Shaw has been providing TV services for almost 50 years, while Bell began offering TV services 18 years ago. Boon Dog also estimates that the number of IPTV subscribers will surpass DTH satellite TV subscribers in the fourth quarter of 2015. Although the nine-month losses represent just 1% of the traditional TV service – Canada has some 11.5 million pay-TV households – the Q3 losses are indicative of a struggle that’s likely to continue. Here are some interesting excerpts from this talk about the issues that matter to us and are defining the future of the television industry. The time to change and innovate has come. Your advantageous position is your springboard to the future. As Peter Drucker said, change is an opportunity—a chance. It must be seized. And the time to do so is now. We held Let’s Talk TV—our national conversation on the future of television. In our ever-changing world, it is key that we update the regulatory framework for television. The system will follow suit to give you the tools and opportunities to compete and showcase your talent. So you are at a crossroads. What will you do? Will you rest on your laurels, trapped in nostalgia, glorifying the past? Or will you take advantage of your situation to forge ahead and seize this golden opportunity? We find ourselves at a time when TV content has never been as abundant. Supported by technology that continues to amaze us every day, the world of television is transforming rapidly. Competition has flourished, and comes from all over the world. As producers, your competition is worldwide. People view audiovisual content at will and according to their schedules. And although content is king, the viewer is now emperor. We are creating an environment in which Canadians watch content produced by our creators not because it is forced upon them, but because it is excellent. It should also be noted that we are bringing about these changes in a measured and responsible manner, and that they are centered on openness, innovation and quality. Public broadcasters have much less flexibility than in the past. The public is demanding greater investment in health, education, infrastructure and environment. There’s no point in kidding ourselves or being nostalgic: public funding will never again be what it once was. However, you have the means to rise above those challenges. They are all the more reason to welcome change with open arms and think globally. You are now competing with the whole world, and that opens the door to international audiences you didn’t have access to before. Now let’s talk about the funding system for television productions, which is quite complex and consists of a combination of public and private funds. Each year, Canadian television productions receive over $4 billion in public funding. We need more large-scale productions to be able to compete with large international productions. We believe that there would be significant benefit in pooling our resources and investing jointly in large productions to show the world what we can do. I would like to highlight an initiative that will encourage governments and partner organizations to consider more flexible and forward-looking approaches to the production and funding of Canadian programs. The CRTC is launching two pilot projects aimed at redefining Canadian productions. We want to broaden the definition of “made by Canada” to include large-scale drama and comedy series with budgets of at least $2 million an hour, as well as series based on best-selling novels by Canadian authors. Yes, it is true that both pilot projects are directed primarily at English-language productions. In this age of content abundance, a critical issue for the success of Quebec and Canadian productions is the ability to discover content. And I’m not only talking about audiences here, but the world over. Content availability is not a one-way street. How can we make sure that audiences here and abroad can find our productions? Even if, during our recent consultations, many stakeholders acknowledged the importance of the discovery and promotion of content made by Canada, few concrete proposals have been put forward to that effect. Therefore, this fall, the CRTC is organizing a Discoverability Summit to explore the tools that could help TV viewers find Canadian-made content in this age of abundance. The Summit will bring together leading innovators and players in the public and private sectors from here and across the world. This will not be a regulatory exercise, but rather a chance to give free reign to innovative ideas. It is now clear that the world of broadcasting is increasingly tied to the world of telecommunications. And while some of you are nostalgic, you are missing an opportunity to shape the future. Today, Canadians rely on their connectivity in almost every facet of their lives. It is central not only to our economy, but to our culture as well. But technology cannot accomplish its mission unless it is available, reliable, secure, neutral and affordable. That is why we began a major proceeding in which we will review the basic services Canadians need to actively participate in the digital economy. We are looking at telecommunications services from every angle. We are asking such questions as: “What download and upload speeds are required in this digital age? Should broadband be considered an essential basic service for all Canadians? It goes without saying that these issues affect you directly. Your market is increasingly dependent on the ability to connect with households. My message today, therefore, is that the market is wide open to you, and we would like to help you conquer it. You owe it to your faithful audience to adapt to the future. To stay fixated on the past would be to its detriment. Certain things must come into play—including change management—that may be more challenging for some industry players than for others—particularly those who do not put in place the means to adapt. Competition is coming from all directions, but you have the tools and the talent needed to remain successful. The CRTC has influenced our viewing choices for a long time. 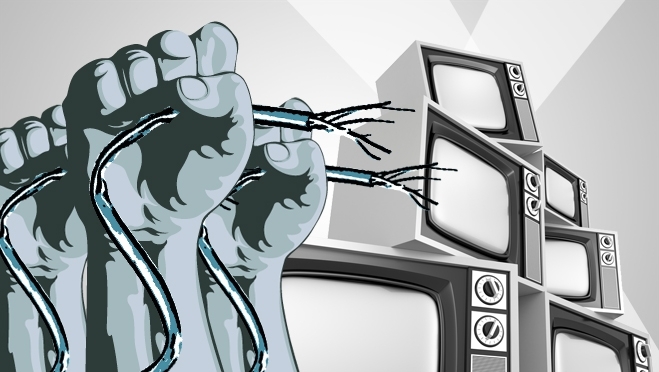 It now recognizes that the masses are overtaking their influence and their approach to the broadcast industry must change if it is to survive. • Technological change in particular has been intense and transformative. Radio begat television, television begat cable and satellite, and broadband Internet has changed everything. • People watch content in the ways, on the devices and at the times that most suit them. • Consider this fact: Canadians have access to over 1,300 hours of traditional television for every waking hour, assuming they do nothing else but sleep, watch TV and multitask for everything else. Moreover, it is estimated that 300 hours of video are uploaded to YouTube every minute of every day of every month. • When it comes to video content, we live in an Age of Abundance. Content is everywhere on the Internet and on television. And it is available to us at any time of the day or night, on any device we choose. • [The current] model will not work anymore. In the Age of Abundance, where people can pick from among a multiplicity of programming choices on as many channels, quotas are square pegs in round holes. The reality of this new Age is that quality matters more than ever before. • Every year, billions of dollars are invested to create Canadian programming. Every society needs to make such investments in the arts, including in film and television programming. They enable us to reflect about who we are and where we’re going as a nation. But if Canadians cannot find these works, then surely both their intrinsic and commercial values are lost. Canadian programming needs to be more than just great. It needs to be found. • Canada has outstanding and internationally recognized storytellers. • As long as the story is told by a Canadian, let’s get the best talent working on it and make something that will conquer the world. Forget about the tagline “made in Canada.” We want content that is made BY Canada. • As John F. Kennedy put it, we are not embarking down this path because the way will be easy and clear of obstacles. Even though it will be hard, we must take this direction. The world is evolving and we must prepare for the future before it is too late. The CRTC has unveiled a dramatic overhaul of its old protectionist rules for television programming, including the relaxation of its long-standing rules that require TV broadcasters to carry a certain quota of Canadian-produced content. 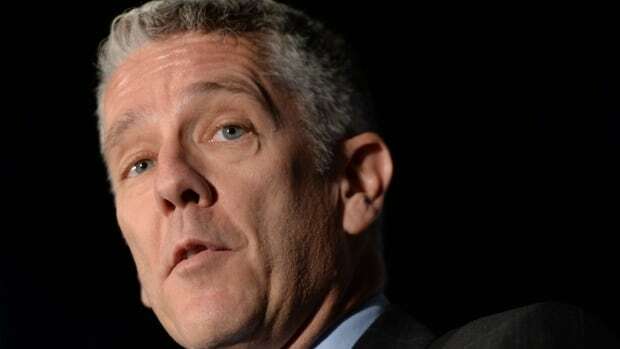 “Television quotas are an idea that is wholly anachronistic in the age of abundance and in a world of choice,” CRTC chairman Jean-Pierre Blais said in a lunch address to the Canadian Club of Ottawa. But during weekday prime time — 6 p.m. to 11 p.m. — the requirement that 50 per cent of programming must be Canadian will be maintained.